Your donation will help us build this center into an even more amazing place that the youth will really love. Your generosity helps us to extend our reach and purchase more tools to keep this center relevant to them to keep their attention and keep them coming back. Currently we are using GoFundMe for donations. You can also make a donation through our GuideStar page. Just click the link and choose Donate on the right hand side. 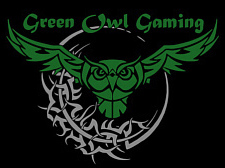 Copyright Green Owl Gaming © 2013. All Rights Reserved.